Remaining up-to-date on regulations and local laws can be challenging for Elk Grove property management owners. Let Real Property Management SAC-METRO handle all the challenges, from legal issues to industry standards. 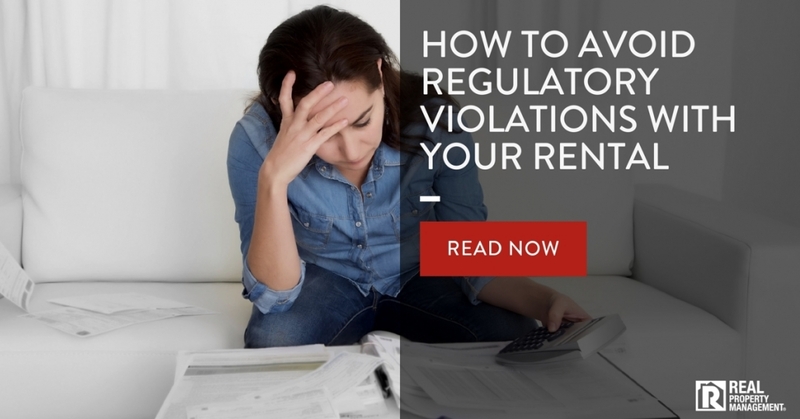 Fines incurred from regulatory violations can add up quickly, as there are regulations at the local, state and federal levels. Landlords may feel overwhelmed by all the paperwork, but hiring the top Elk Grove property management company can help you avoid liability and risks. Lack of access required for the Americans with Disabilities Act, including restricting service animals. Non-compliance with the Federal Fair Housing laws by discriminating against applicants. Failing to properly take care of safety issues regarding mold or foundation problems outlined in habitability laws. Hiring an unlicensed or improperly licensed repairman or property manager. Forgetting to check the smoke alarms and carbon monoxide detectors meet state and federal regulations. Misunderstanding municipal codes in your local area. Allowing property activities to be conducted by an unlicensed real estate agent. Mishandling funds and violating trust accounting laws. Unorganized paperwork that results in losing expense reports or lease agreements, which can lead to complications with legal processes. Disclosing personal tenant information that should be kept confidential. Ignorance is not safety if a landlord does not know or understand the applicable regulations. Staying up to date on all of the information is crucial to success in property management. Elk Grove, CA, landlords trust Real Property Management SAC-METRO. Our expertly trained teams protect your property so you don’t have to worry about costly violations. Our professionals give landlords a higher return on their investment than they could get on their own. Hand over the stress to Real Property Management SAC-METRO.